5 days Has Tesla Solved The World’s Battery Recycling Problem? 23 hours "Undeniable" Shale Slowdown? Is It Time To Invest In Offshore? When it comes to the oil market, the narrative over the past year, ever since OPEC's first aborted its meeting last April, has been just one: limit crude supply in hopes of rebalancing the oil market, reducing excess inventories, in the process sending the price of oil higher. However, echoing what we have warned for many months, overnight the world’s biggest independent oil trader said OPEC's efforts could be in vain because the oil producing cartel is seeking to control the wrong thing: it's not a matter of supply, but global demand which is simply not there. According to Vitol Group, the world's biggest independent oil trader, demand isn’t expanding as much as expected, and U.S. shale output is growing faster than forecast, Bloomberg reports. As a logical outcome, that’s increasing the burden on the world’s biggest producers, who need to stick to their pledges to cut supply just to keep prices from falling, said Kho Hui Meng, the head of the company’s Asian arm. Meanwhile, shale continues to capture OPEC, and mostly Saudi, market share as do countries such as Iran and Libya which are not bound by the Vienna agreement production quotas. The problem in a nutshell: originally, oil consumption, or demand, was forecast to expand this year by about 1.3 million barrels a day, growth has been limited to about 800,000 barrels a day so far in 2017, Vitol's Kho said, adding that U.S. output had grown 400,000-500,000 barrels a day more than expected. “If demand goes back to where it should, where it’s forecast, then it’ll help, but my gut feel tells me it is still a bit long,” he said. 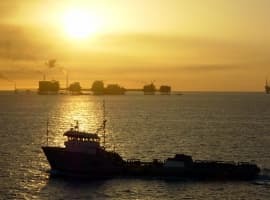 Vitol's dour demand outlook has been shared by the International Energy Agency itself, which trimmed its forecasts for global oil demand growth this year by about 100,000 barrels a day to 1.3 million a day as a result of weaker consumption in OECD member countries and an abrupt slowdown in economic activity in India and Russia, according to a report released last month. As a result, the Paris-based IEA cut its estimate for India’s 2017 oil-demand growth by 11 percent . It's not just India: there’s also concern that consumption may slow in China, the world’s second-biggest oil user. 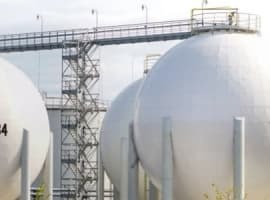 As we reported in March, China's independent refiners or "teapots", which account for a third of the nation’s capacity, have received lower crude import quotas compared with a year earlier, prompting speculation their purchases could slow. 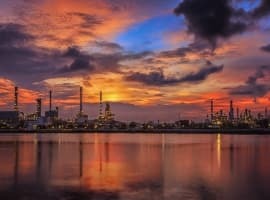 “The oil market is looking for growth but there’s no growth,” Vitol’s Kho said, adding that the refiners may only get approval for the same volume of imports as last year. And while U.S. gasoline consumption is expected to hit its seasonal summer peak soon, demand growth “is not there yet,” he said. Yet, in what may be the third law of oil price (dis)information, for every bearish oil trader, there is an equally bullish oil producer, in this case Saudi Arabia. And indeed, the world’s biggest crude exporter is quite optimistic on oil's prospects. According to Bloomberg, Saudi Arabia expects 2017 global consumption to grow at a rate close to that of 2016, Energy Minister Khalid Al-Falih said on Monday. “We look for China’s oil demand growth to match last year’s, on the back of a robust transport sector, while India’s anticipated annual economic growth of more than seven percent will continue to drive healthy growth,” he said in Kuala Lumpur. Related: Is The U.S. Oil Patch A Value Trap? While some fear a slowdown in Chinese oil demand, Sanford C. Bernstein & Co. doesn’t see any cause for concern. Growth in the nation’s car fleet will support gasoline demand, with increasing truck sales and air travel also helping fuel consumption, it said in a report dated May 9. Saudi Arabia and Russia, the world’s largest crude producers, signaled this week that they could extend production cuts into 2018, doubling down on an effort to eliminate a surplus. It was the first time they said they would consider prolonging their output reductions for longer than the six-month extension that’s widely expected to be agreed at an OPEC meeting on May 25. And then there is shale. As Bloomberg points out, U.S. output has jumped for 11 weeks through the end of April to 9.29 million barrels a day, the most since August 2015, Energy Information Administration data show. Furthermore, according to an EIA forecast released on Monday, US crude output for 2017 is expected to rise again, from 9.22MMbpd to 9.31MMBpd, and jump in 2018 from 9.9MMbpd to an all-time high 9.96MMpbd. According to a separate Bloomberg report, U.S. shale explorers are boosting drilling budgets 10 times faster than the rest of the world to harvest fields that register fat profits even with the recent drop in oil prices. Flush with cash from a short-lived OPEC-led crude rally, North American drillers plan to lift their 2017 outlays by 32 percent to $84 billion, compared with just 3 percent for international projects, according to analysts at Barclays Plc. Much of the increase in spending is flowing into the Permian Basin, a sprawling, mile-thick accumulation of crude beneath Texas and New Mexico, where producers have been reaping double-digit returns even with oil commanding less than half what it did in 2014. Needless to say, that’s very bad news for OPEC and non-OPEC in the ongoing, and failing, global campaign to crimp supplies and elevate prices. Wood Mackenzie Ltd. estimates that new spending will add 800,000 barrels of North American crude this year, equivalent to 44 percent of the reductions announced by the Saudi- and Russia-led group. Drilling budgets around the world collapsed in 2016 as the worst crude market collapse in a generation erased cash flows, forcing explorers to cancel expansion projects, cut jobs and sell oil and natural gas fields to raise cash. The pain also swept across the Organization of Petroleum Exporting Countries, which in November relented by agreeing with several non-OPEC nations to curb output by 1.8 million barrels a day. So far, independent American explorers such as EOG Resources Inc. and Pioneer Natural Resources Co. are holding fast to their ambitious growth plans. Some recently finished wells in the Permian region yielded 70 percent returns at first-quarter prices, EOG Chief Executive Officer Bill Thomas told investors and analysts during a conference call on Tuesday. But the worst news for OPEC is that a new flood of oil may be imminent: "U.S. oil production is already swelling, even though output from the new wells being drilled won’t materialize above ground for months." In other words, "in a few months" expects a whole new wave of shale oil to hit markets. Related: The Oil Crisis: An Ice Cream-Flavored Asteroid? It is unclear how long the shale strategy can continue: drillers can afford to be sanguine despite oil’s recent tumble because they’ve cushioned themselves with hedges, Martin said. Hedges are financial instruments that lock in prices for future output and shield producers from volatile market movements. “There is some price malaise creeping in,” Martin said. “But the aristocracy of the U.S. independents have insulated themselves” through hedging. At the end of the day, however, the biggest culprit for OPEC's failed strategy may be none other than the Fed and its peer central banks, who have made access to cheap money virtually problematic, money which shale companies that were near bankruptcy a year ago, are now using to pump record amounts in hopes of stealing Saudi market share. If Riyadh really want the price of oil to go up, perhaps it should send a letter to Janet Yellen to make it more difficult for shale companies to get the funding they need to produce any amount of oil with virtually no capital limitations. Did This Gas Major Just Ensure Its Survival?